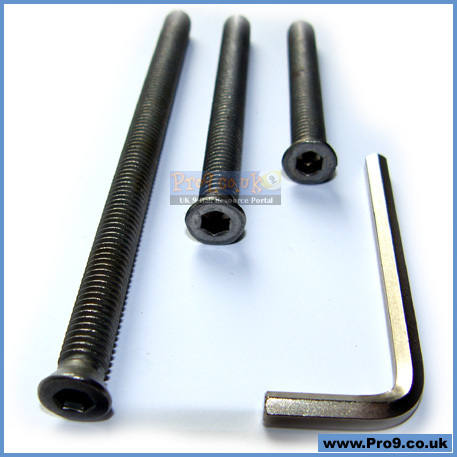 System comprises 3 alternative Predator threaded weight bolts and a suitably sized Predator weight bolt sized "hex key". Fine tune your Predator cue even further with this alternative weight bolt system. 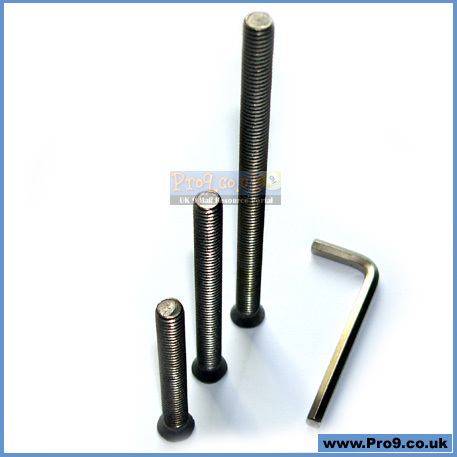 These bolts are different lengths and may be further refined by cutting to precisely needed weight/length. 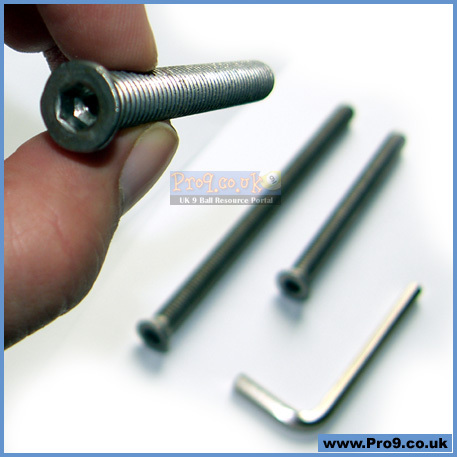 As with all threaded bolts, caution is required as excessive removal and insertion can start to strip the wooden thread inside the cue, and adjustment needs to be done carefully to avoid loosening veneers and other cue components. 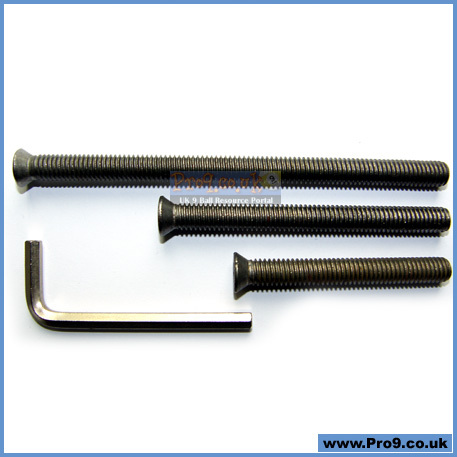 These bolts can be further customised simply by cutting (with a small hacksaw) to the precisely required weight.